Genevieve the protagonist of this story, lives with her father, a widower king and her 11 sisters, all of them messy and noisy, but happy and united by the same passion: dancing. A humble shoemaker visits the palace every day and makes the best dance shoes that no one ever could have done for the girls, but the best and most beautiful shoes are always for Genevieve. All seems fine inside the castle, until the Duchess Rowena is called by the king to help in the education of the Twelve Dancing Princesses. Rowena comes imposing order and silence, but she want to remove the king and imprison the princesses so she can be the sole ruler of the kingdom. 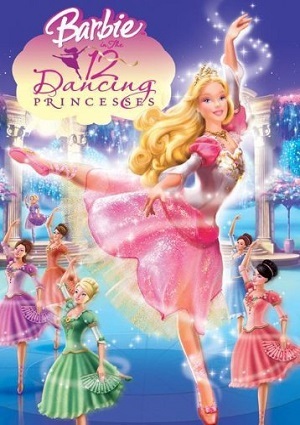 It all seems to indicate that Rowena’s plan is being perfectly carried out, until the princesses discover a magical world that opens its door when they dance a secret combination. The magical world is discovered by the evil duchess too, and she uses it to lock up the twelve princesses for the rest of their lifes. Genevieve nothing can do and only have the help of her sisters and the cobbler to escape the prison that Rowena has imposed them.